Its always like that in history, Kings rule by fear, ridding themselves of possible threats by harsh means. It difficult to understand from a modern viewpoint, but harsh though it was I can see that there was little else they could do sometimes. Kind of reminds me of lions, when the males win over an opponent and takeover the herd, first action is to kill all male cubs, so that only their blood flows through the herd. There’s no politics there, just instinctive action, but the parallels to royal history is there, where ascendants promptly dispose of threats however they can. Even the females weren’t exempt. 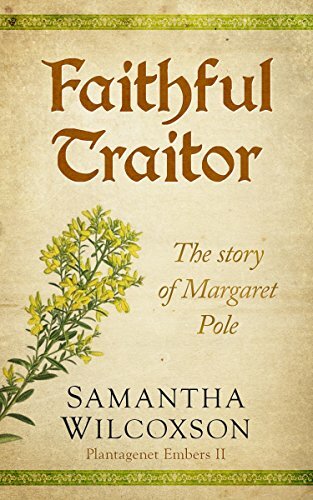 Margaret wants little more than to live her live in peace, to have her family and ensure their lives successful, but the Plantagenet blood keeps her always in the royal eye and under a threat of suspicion. Of course as Henry ages, discards Catherine and creates his new church fortunes and lives fall on his whims, and Margaret needs to tread a fine line. Play it safe on the earthly life and embrace Henry’s new church, or keep her faith with God, her religion, the one she has known all her life and risk her and her families life? What must she do? She tries so hard to keep her faith and yet keep her family safe too. It makes me think, what would I do? I’m just glad I didn’t live in those times… Throw in Henry’s lack of a male heir and you can see just how dangerous life was for Margaret and those like her. I really enjoyed this story, bringing history to live in a readable way through fiction. I really felt there with the families, could mentally see what was happening, and the little things, clothing, buildings, plants even, really brought the period to life. Its those tiny touches that work for me, make the story feel real, I want to feel as if I’m there, a silent onlooker back in time, alongside the characters. Stars: Five, liked the reminder of how Margaret is connected t the last book, I’d forgotten but when events were mentioned it all came back and it really embraced the sense of continuity in history between the two books. I’m keen to read book three now.